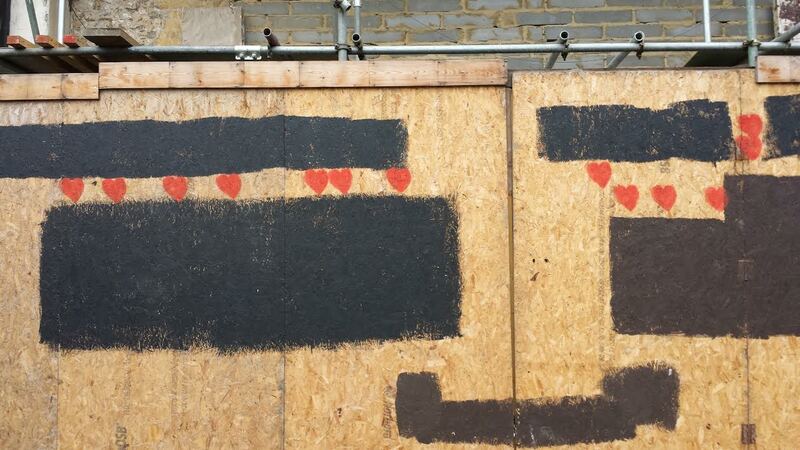 The ongoing graffiti on the hoarding surrounding Loughborough House now with added hearts. This entry was posted in Paintings & Drawings and tagged Loughborough Junction, Painting, Paul Ashurst. Bookmark the permalink.